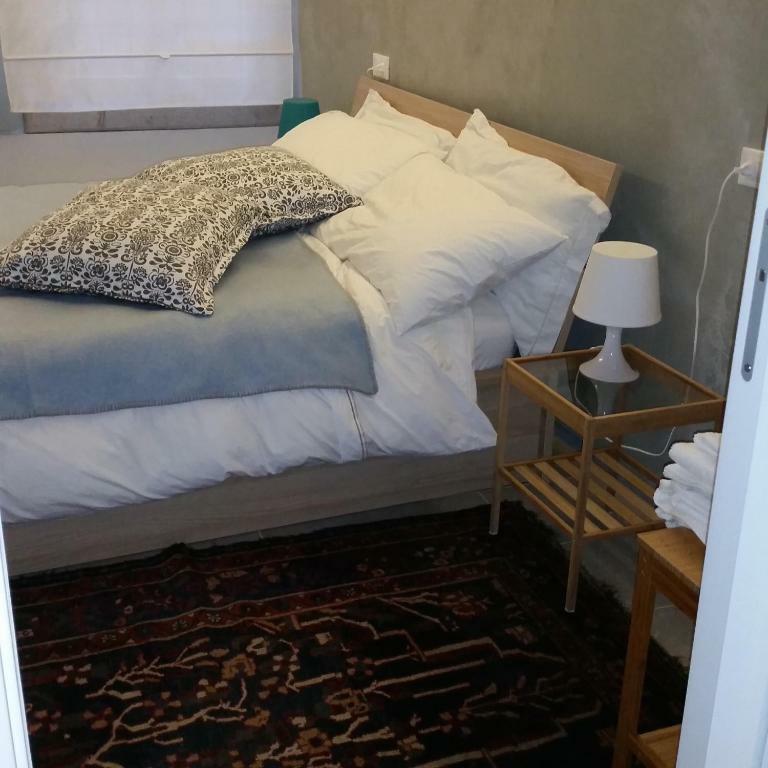 The apartment's location is both quiet and convenient, and the room is clean, beautiful, and comfortable! Antonello and his family were also very friendly and gave us great local suggestions! Located right on a canal, but tucked away from major tourist hotspots. Feels like a little oasis! Can’t fault this apartment! Beautiful place which is right on the canal. In the morning you can open up the windows and watch the gondola boats go past! Renovated to be modern, with all the facilities you would want. The owner Antonella was the perfect host & met us at the nearest water bus stop, then gave us a map & lots of tips about what to do! A fantastic little spot and a welcome retreat from the chaos of tourists. Centrally located. We appreciated having the opportunity to live like a local. Awesome view! Gondolas we’re driving directly in front of bedroom and kitchen. Very good area. Everything is in walking distance. Super nice hosts! Highly recommended! 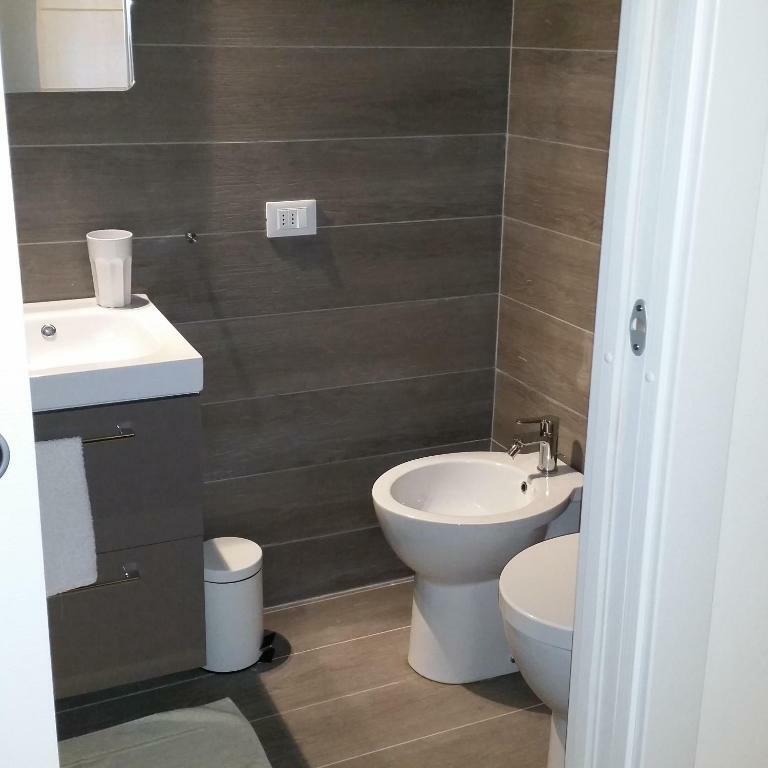 Very nice, clean and perfectly renovated flat. Very smooth check in with Natalia - she is awesome! Location is excellent, nice and quiet in the evenings. Apartment is very nice and tidy. We highly recommend staying here. When we looked out of the windows, we saw he canal and some gondola passed by quietly. Amazing! The apartment was bright, clean, modern and in a good position ... just some minutes away from Rialto. The host was very friendly and helpful. We enjoyed the stay very much and we want to come back! Lock in a great price for Ca' Dell'Arco Sul Rio – rated 9.4 by recent guests! 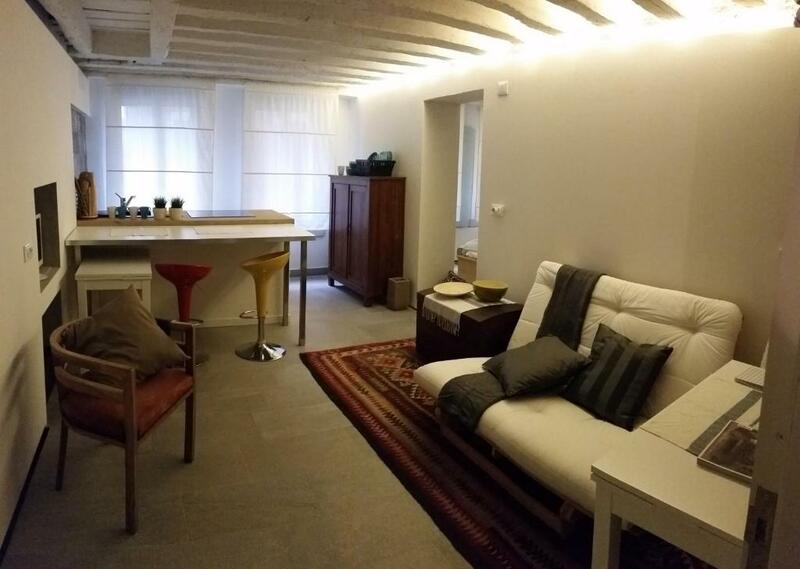 Ca' Dell'Arco Sul Rio offers accommodations in the center of Venice, 2,150 feet from Rialto Bridge. 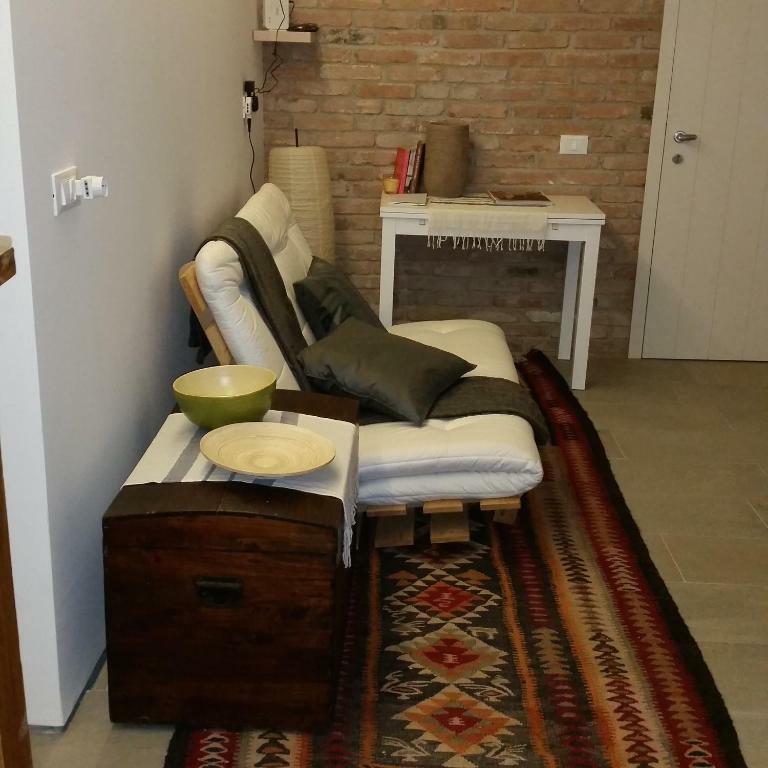 The unit is a 15-minute walk from Piazza San Marco. Free WiFi is featured throughout the property. 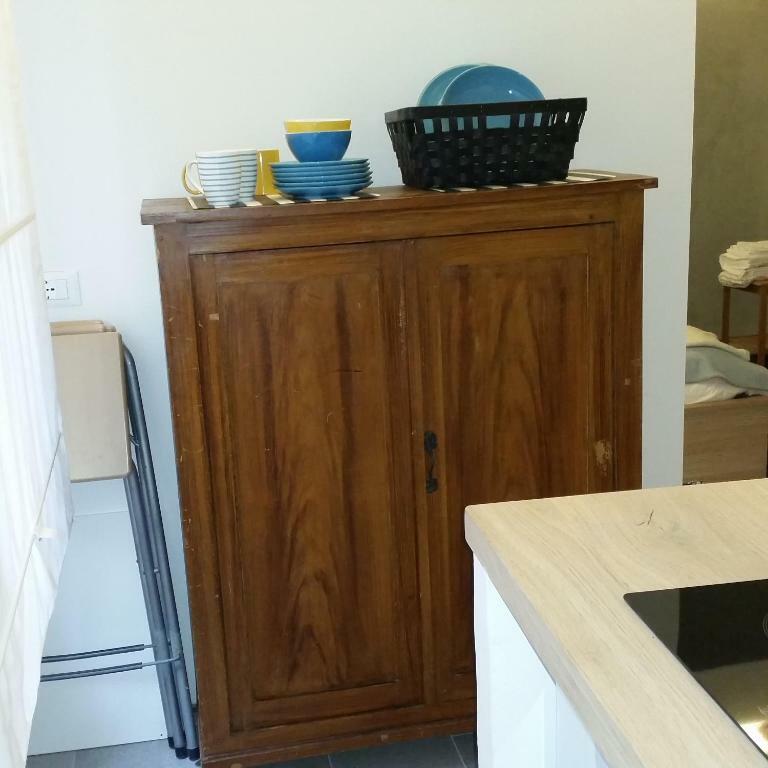 The kitchenette includes a refrigerator, oven and coffee machine. 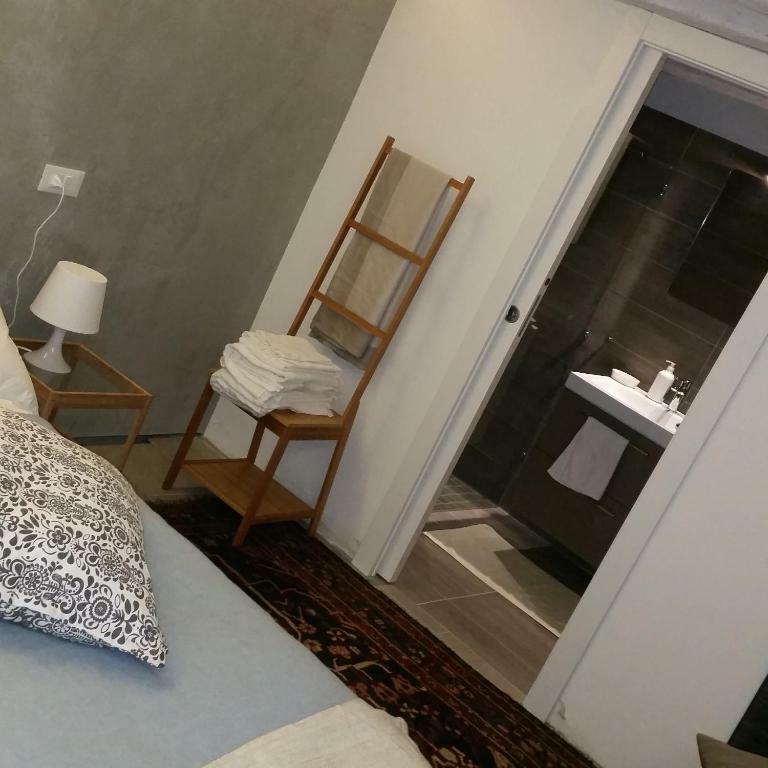 Towels and bed linen are provided at Ca' Dell'Arco Sul Rio. A washing machine is also available. Canal Grande is 1,300 feet from Ca' Dell'Arco Sul Rio, while La Fenice is 0.6 mi from the property. Venice Marco Polo Airport is 8.7 mi away. Santa Croce is a great choice for travelers interested in atmosphere, sightseeing and city walks. 뀐 Located in the top-rated area in Venice, this property has an excellent location score of 9.9! When would you like to stay at Ca' Dell'Arco Sul Rio? 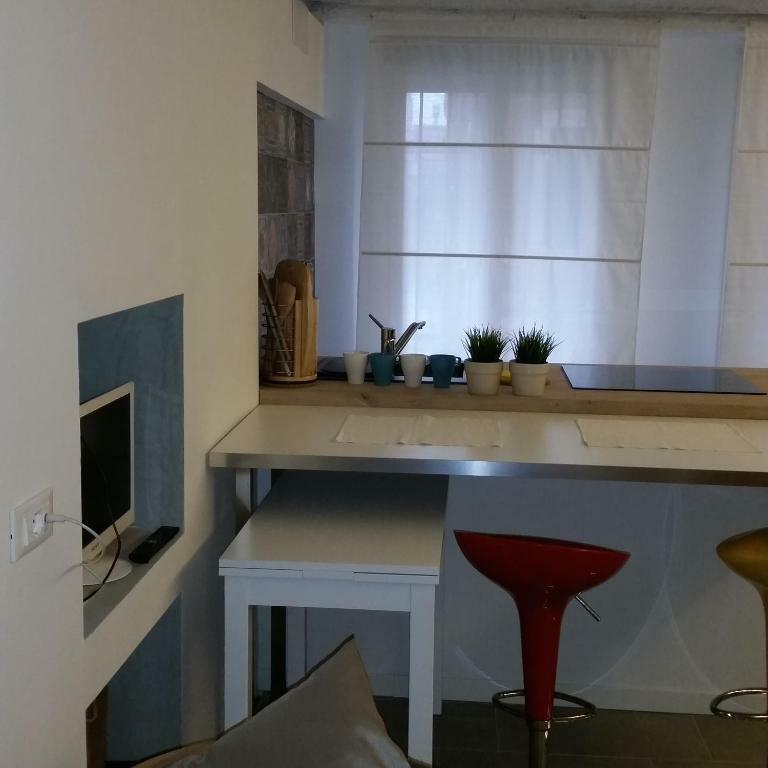 This apartment has a stovetop, seating area and toaster. 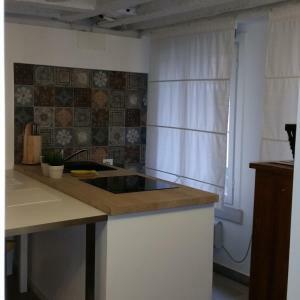 Nel cuore della città di Venezia a 10 minuti dal ponte di Rialto completamente restaurato a nuovo con vista caratteristica sul canale, moderno pratico e funzionale, comodo ai mezzi e per visitare la città. Restauro in stile moderno mantenendo allo stesso tempo le caratteristiche degli edifici veneziani, travi a vista, finestre sul canale con passaggio delle gondole e tipiche imbarcazioni veneziane. 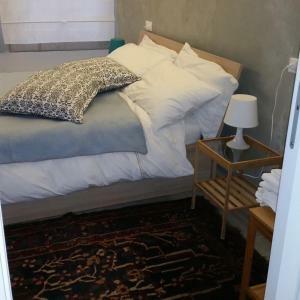 L'appartamento può comodamente ospitare due persone, non è di grandi dimensioni Ingresso indipendente, Soggiorno con angolo cottura, Camera matrimoniale e bagno. A richiesta può essere ospitata una terza persona che dovrà sistemarsi sul divano. Lavoriamo principalmente in Venezia centro storico. Ci occupiamo di immobili. 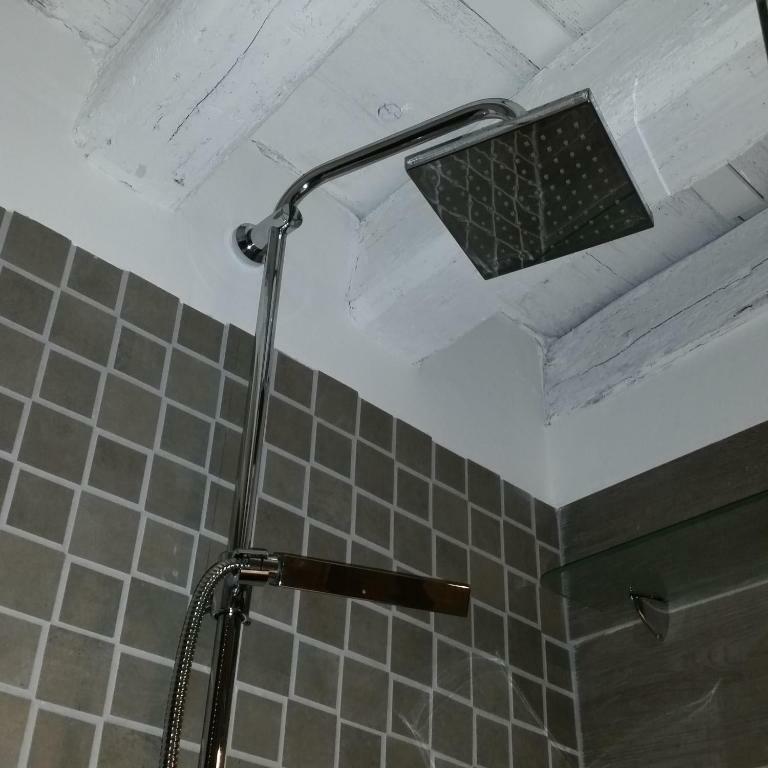 Da tempo abbiamo messo a disposizione alcuni nostri appartamenti per la locazione di breve periodo a coloro che vogliono soggiornare in una struttura diversa dal classico hotel. Questa nuova esperienza ci ha portato a conoscere ed incontrare persone di nazionalita diverse curiosi di conoscere la nostra Venezia. Cerchiamo sempre di dare loro le più importanti ed essenziali informazioni per vivere ,anche se per pochi giorni, la quotidianità dei veneziani. Mettere a disposizione appartamenti inseriti in antichi,moderni,unici contesti veneziani è il primo passo importante per far capire come è nata e come continua e speriamo continuerà a vivere la città di Venezia . Il sestiere di Santa Croce e la zona dove è situato l'appartamento è al centro della città di Venezia, tra calli e campielli in soli pochi minuti ci si trova al ponte di Rialto, la zona è ottima per essere fuori dalle vie più trafficate, così da poter essere un ottimo posto dove risposare tranquillamente. In soli 5/10 minuti si può raggiungere la fermata del vaporetto di San Stae dalla quale si possono raggiungere aeroporto, stazione ferroviaria e piazzale roma. House Rules Ca' Dell'Arco Sul Rio takes special requests – add in the next step! Ca&#39; Dell&#39;Arco Sul Rio accepts these cards and reserves the right to temporarily hold an amount prior to arrival. Ca' Dell'Arco Sul Rio accepts these cards and reserves the right to temporarily hold an amount prior to arrival. Please inform Ca' Dell'Arco Sul Rio of your expected arrival time in advance. You can use the Special Requests box when booking, or contact the property directly using the contact details in your confirmation. The only thing I can fault is the €50 charged for towels and linen, which is not refunded & was in addition to the price quoted online. It seems very expensive (you could probably buy a new set of towels & sheets each stay for that price!) & I think it should be included in the price quoted online. The chairs in the kitchen were a little uncomfortable to sit on for breakfast (too high, one of them a little broken). But that was really the only thing that was not perfect!